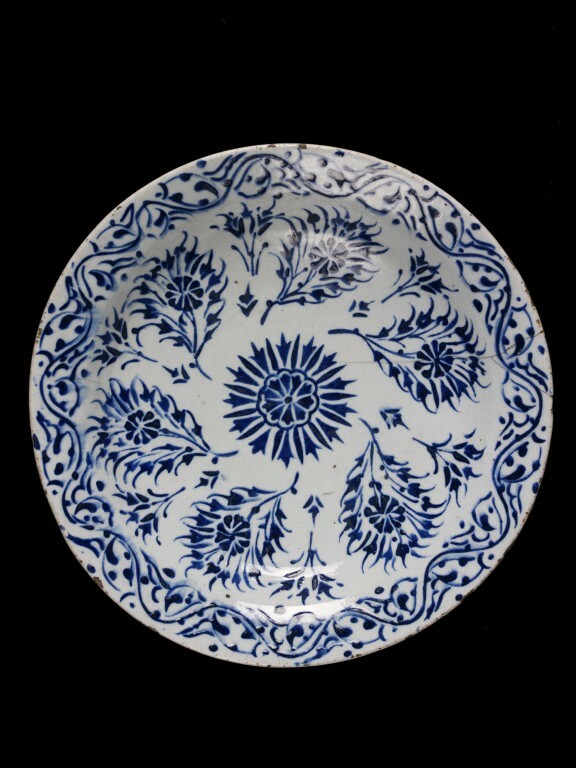 Dish, fritware painted in blue slip with radiating foliate sprays. Deep well with a narrow rim sloping out at an angle and with a prominent foot-ring. In the middle is painted a rosette with alternate streak and arrow-shaped petals. Round this is a radiating frieze of chrysanthemums surrounded by feathery leaves and leaning towards the right. The rim is painted with a design of dots and curves on each side of a waving line. The back is unpainted. 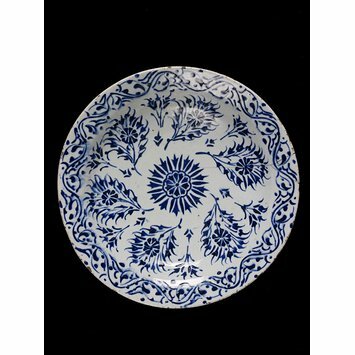 Dish, fritware, painted in blue slip with radiating foliate sprays, (Turkey) Iznik, ca. 1575.